New Delhi : India carried out fresh strike on a terror camp across the Line of Control, claimed reports. The strike was carried out at around 3:30 this morning by 12 Mirage 2000 fighter jets. 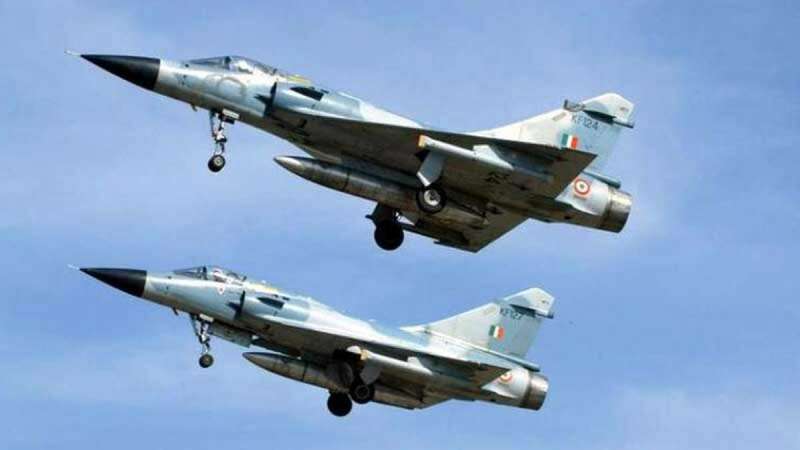 As mentioned in the reports, the aircraft dropped 1,000 kg laser-guided bombs on a major terror camp across the Line of Control, completely destroying it, news agency ANI reported, quoting Air Force sources. According to a report by NDTV, the sources have confirmed that the strikes were "100 per cent successful" and went on exactly as planned. India's action comes two week after deadly terror attack in Pulwama in which over 40 soldiers of the Central Reserve Police Force (CRPF) were martyred after a suicide bomber of the Pakistan-based Jaish-e-Mohammed exploded a car full of bombs next to a security convoy. In other news, Sushma Swaraj will be meeting China's Wang Yi, pitching to put JeM chief Masood Azhar in the 'global terrorist' list.